Other sizes available, the one in picture is approximately 18 x 18 x 22cm with 3 and 5mm thickness panels. 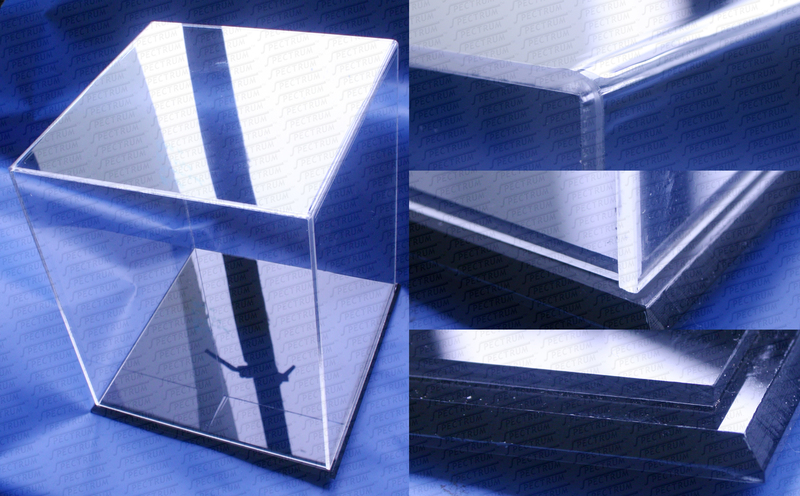 Top Right Photo, 3 sides (front, top & back) are formed by bending the acrylic. Bottom Right photo: Bottom most piece is slightly tapered for looks. A step is formed by joining 1 panel on top on the tapered piece. The clear box will fit over the step so that it does not slip off when the whole box is tilted slightly. It also helps as a simple dust seal.